Money is one of scarcity’s biggest pain points. Join us as we will spend the next two months diving into breaking free from the money trap and using a generosity practice as access to creating a life of Sustainable Abundance. Gina & Jen share the message coast to coast. What the heck is Sustainable Abundance? It's a radiant and inspired leadership movement that begins at the intersection of personal development and global sustainability. It guides each of us to achieve our true potential as individuals and as leaders, in a way that affirms the value of all life. The path to Sustainable Abundance can be blocked by scarcity—a constant sense there’s not enough. Most of us suffer from a scarcity mindset. Do you? This 1-minute tool offers 3 actions you can take now to open to Sustainable Abundance. Read "The 7 Laws of Enough"
Take the scare out of scarcity and gain refreshing alternatives for your life, career and communities. Discover you are, do and have enough already. You’ll find inspiration, experiments, inquiries and practices to cultivate a life of Sustainable Abundance. Enrich your personal and professional life, your community and your world. Transform and mobilize your organization by cultivating high-potential employees, improving group dynamics or developing your own leadership skills. Deepen your expertise and learn how to guide others as they embark on a personal journey from Scarcity to Sustainable Abundance. 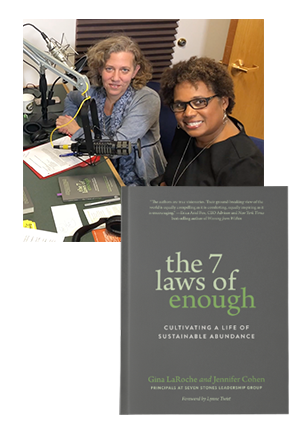 Seven Stones is a leadership journeys company founded in 2009 by Gina LaRoche and Jennifer Cohen, authors of The Seven Laws of Enough. Our learning programs, coaching practice, organizational consulting engagements and groundbreaking thought leadership work are all designed to help bring about a world that is loving, courageous and just. Our free, one-hour calls are your chance to build community and develop new tools to support our shared commitment to living and leading in Sustainable Abundance. You're welcome to participate in the conversation or just listen along. Tell us your preferences and we’ll send you those love letters. Get a brief daily reminder to pause, breathe, and reflect. This is a moment to invite peace and clarity into your day. Receive invites to attend free video calls with other lovely people on key topics. Plus get replays after the live event. Feel free to participate or simply listen. From time to time we offer articles on sustainable abundance, leadership and other thought provoking topics. Plus, links to free tools, invites to courses and events, and updates on products, services and media coverage. The 7 Laws of Enough is now available! Watch our blog, Facebook, Instagram and Twitter for news and sneak peeks. Vicki Robin will join us to discuss our relationship to money. 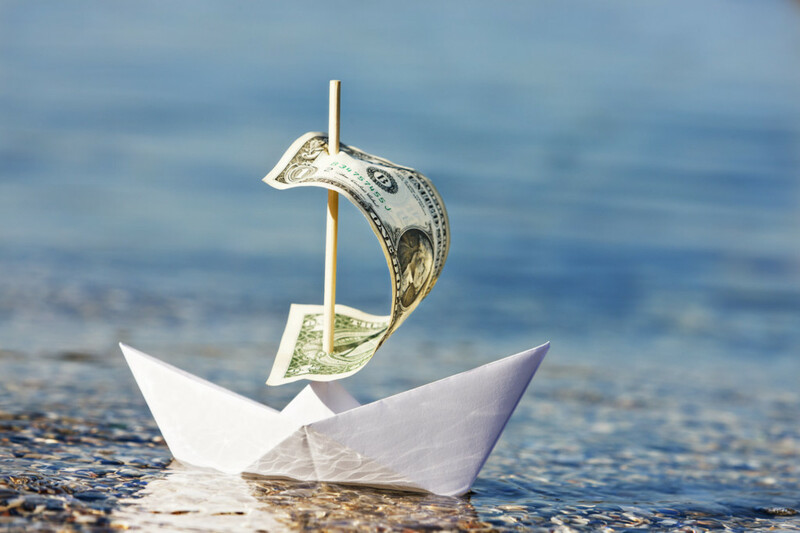 What does it look like to live in Sustainable Abundance as it relates to money? Vicki will get to the heart of living within "enough" when it comes to money, instead of living in scarcity and fear. Join us for a fabulous discussion with one of the great thought leaders on this topic!